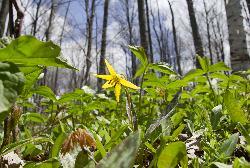 Photo of a trout lily in Ontario Canada. Photo taken in early may 2011. 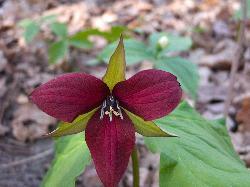 Photo of red trillium in Ontario during the spring. Photo of white Trillium, which is the official flower of Ontario Canada. 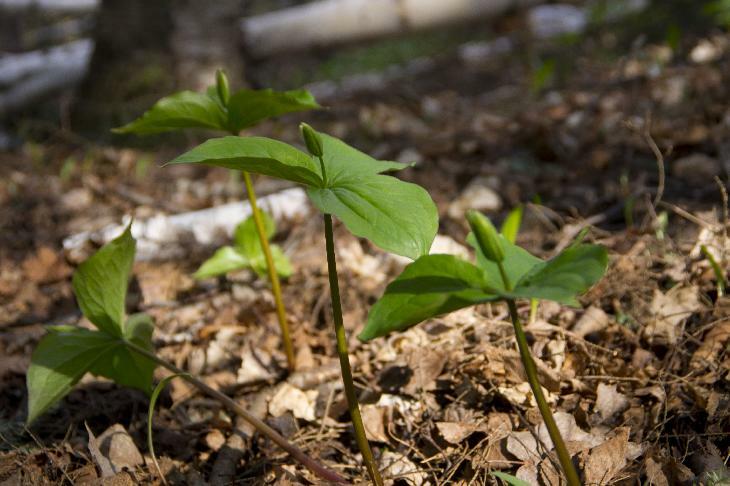 from site: Trillium (trillium, wakerobin, tri flower, birthroot) is a genus of about 40–50 species of spring ephemeral perennials, native to temperate regions of North America and Asia. from site: Trilliums are perennial wildflowers of Asia and North America with as many as 30 species around the world. 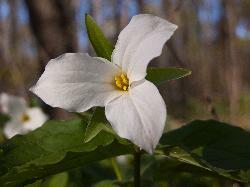 Trilliums get their name from the fact they have three leaves, three sepals and three petals. from site: Trillium grandiflorum, commonly known as white trillium, great white trillium, white wake-robin, or in French as trille blanc, is a perennial monocotyledonous plant in the lily family. 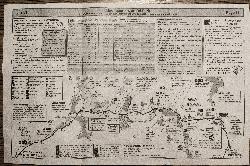 It is native to eastern North America, from northern Quebec to the southern parts of the United States through the Appalachian Mountains into northernmost Georgia and west to Minnesota.